Croatia's midfielder Luca Modrich (33) has won the prestigious honor of football - Ballon d'Or. 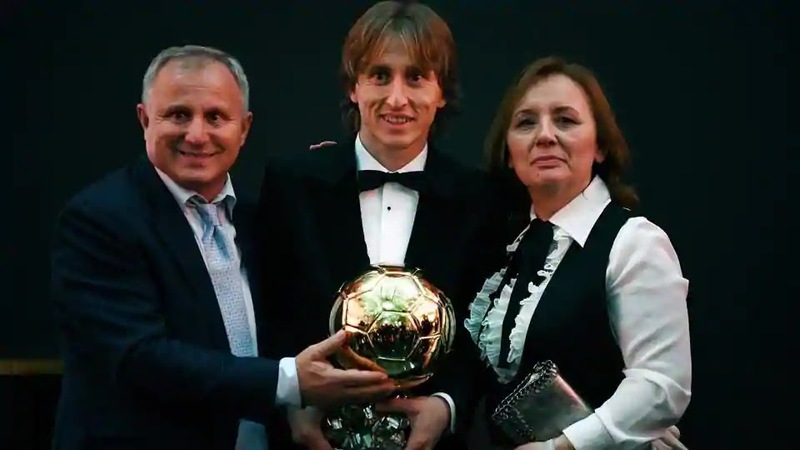 He was rewarded for his key role in Croatia's historic run to FIFA World Cup final (defeated by France) and his club Real Madrid's third straight Champions League trophy. With this, he ended the tenure of Lionel Messi and Cristiano Ronaldo for almost a decade. Messi and Ronaldo have won this award since 2008. Cristiano Ronaldo remained second in run of ballon d'or race this year. France's young footballer Celine Mbappe was placed fourth followed by Lionel Messi of Argentina at the fifth place, Mohamed Salah of Egypt and Liverpool at sixth place and Rafael Varan at seventh place. Norway's Ada Hegerberg (23) wins Women's Ballon d'Or. It was the inaugural edition of Women's Ballon d'Or. She is a three-time Women's Champions League winner with French side Lyon and scored in tournament a record 15 times last season. FIFA Ballon d'Or Award is an annual football association award given by FIFA to the male player who has performed the best in previous calendar year. It was instituted in 2010 after France Football's Ballon d'Or and the men's FIFA World Player of the Year award were merged. It is awarded to a male player, based upon highest votes secured by him from national team coaches and captains, as well as journalists from around the world. Q. Who has won the prestigious honor of football - Ballon d'Or?